Rep. Chris Smith (R-NJ) is to remedy a flaw in the 2018 tax law that is expected to result in a significant decline in charitable donations and leave many unable to meet the humanitarian needs that they have supported for decades. 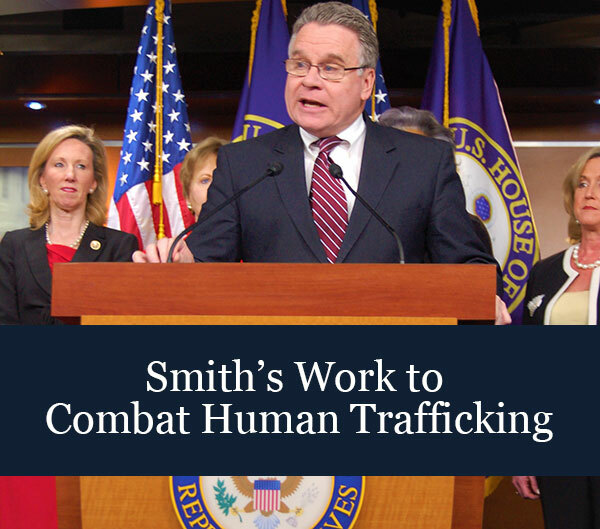 Smith’s Charitable Giving Tax Deduction Act, HR 651—which he introduced in the 115th Congress before reintroducing it on Thursday—would make charitable deductions universal and above-the-line, meaning that taxpayers can deduct charitable donations from their taxes whether or not they choose to itemize. As charitable giving is expected to decline by billions of dollars because of the new increase to the standard deduction, Smith’s bill would ensure that taxpayers who want to make tax-deductible donations to charities have the greatest flexibility possible to do so—either while itemizing their deductions, or taking the standard deduction. Charitable and faith-based groups are supporting the legislation. “By ensuring that taxpayers at all income levels can deduct their charitable gifts, the Charitable Giving Tax Deduction Act can strengthen America’s houses of worship and faith communities and increase fairness in the tax code. We want an America where all—not just the wealthy—are encouraged to contribute to their communities through faith-based and other charitable organizations,” said Brian W. Walsh, Executive Director of the Faith & Giving Coalition. “For the past 100 years, U.S. tax policy, through the charitable tax deduction, has encouraged individuals to make philanthropic gifts to colleges, universities and independent schools. We applaud Representatives Henry Cuellar (D-TX) and Chris Smith (R-NJ) for re-introducing legislation that expands the charitable deduction, encouraging all Americans to support student scholarships, research, faculty and academic programs that help educational institutions provide transformational learning opportunities,” said Sue Cunningham, President & CEO of the Council for Advancement and Support of Education (CASE). Recently, USA Today reported concerns of organizations that say charitable giving in this year alone could decline by as much as $20 billion, and studies including the American Enterprise Institute’s “Charitable Giving and the Tax Cuts and Jobs Act” report predicted that charitable giving would significantly decline in 2018. This shortfall was linked to an increase in the standard deduction in the 2017 Tax Cuts and Jobs Act, which would result in many taxpayers no longer choosing to itemize on their taxes including being able to write off charitable donations. In May of 2018, Rep. Smith introduced HR 5771, the bipartisan Charitable Giving Tax Deduction Act, to make charitable tax deductions universal and “above-the-line,” allowing taxpayers to write off charitable donations on their taxes whether or not they choose to itemize. The amount of charitable contributions would not be capped under the legislation. The AEI report estimated that provisions like those in Smith’s bill, HR 5771—which allowed taxpayers who took the standard deduction to also be able to deduct their charitable contributions—could boost charitable giving by $21.5 billion, offsetting the estimated charitable giving shortfall by several billion dollars.